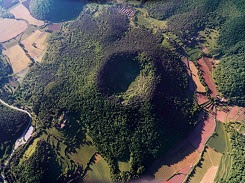 We present you previously one medieval route in the Garrotxa region. However, the region has several point of interest concerning medieval heritage, so we’d like to present you this new itinerary through typical villages. We start from our familial hotel in La Garrotxa. La Garrotxa region is located in the North of Spain, at the border with France. 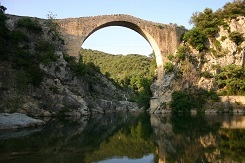 Close to the Pyrenees, this region is mostly famous for its various dormant volcanoes, well preserved in a natural park. But, did you know that the region has preserved its medieval heritage too? Discover the different cities and route you can visit from our hotel for family in Camprodon. La Garrotxa is a national park, located in Catalonia, equidistant from Mediterranean sea and the Pyrenees. It gathers 40 volcanic cones and over 20 lava flows. 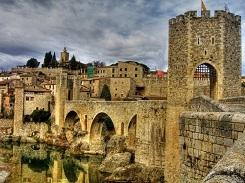 You will also find typical village, with Medieval heritages and castles for some. It is the perfect place for nature lovers and all kind of activities! Visit this park while you stay in our family hotel in Camprodon.